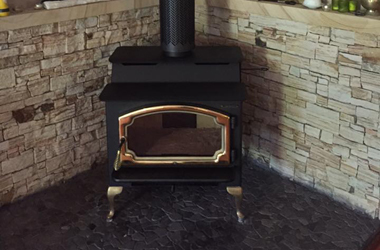 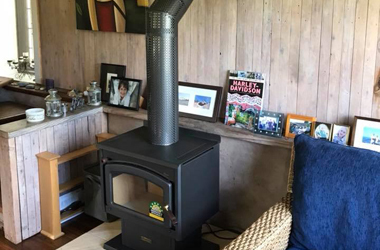 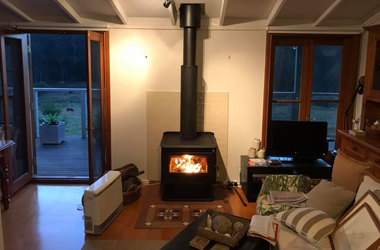 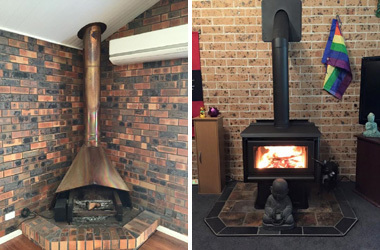 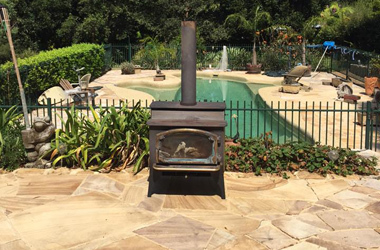 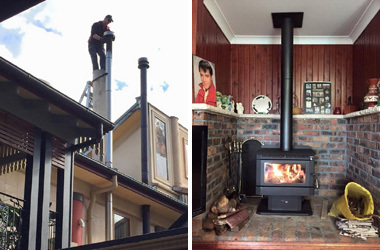 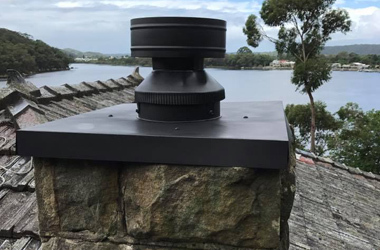 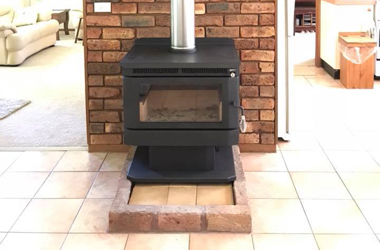 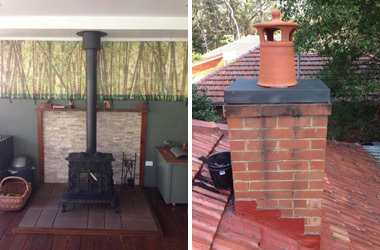 We Offer Chimney Sweep Services for the Central Coast, Hornsby District, & Upper North Shore Areas. 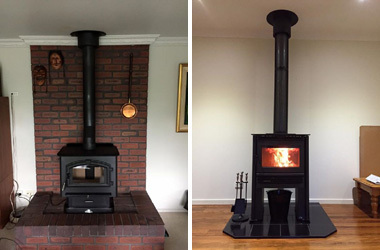 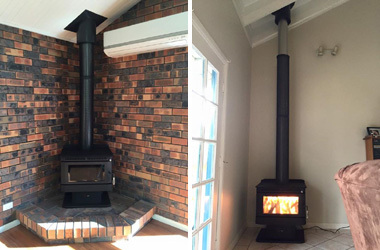 We also do Cleaning & Maintenance of both Slow Combustion & Open Style Fireplaces. 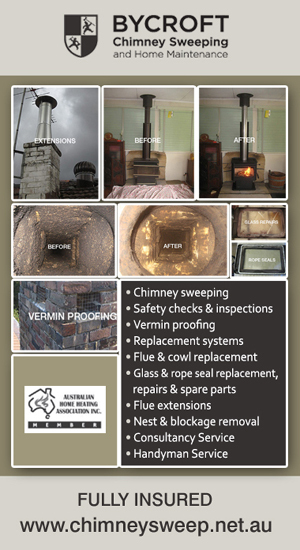 Fully Insured & All Work Guaranteed. 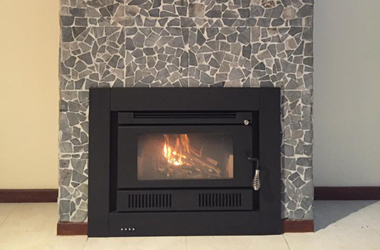 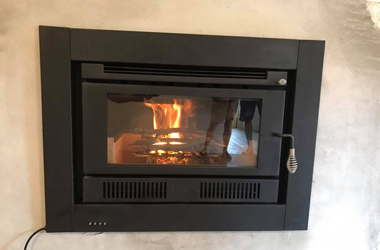 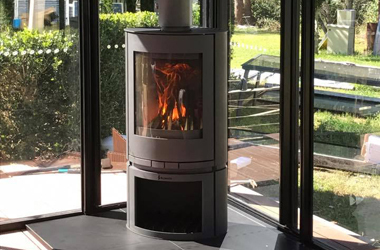 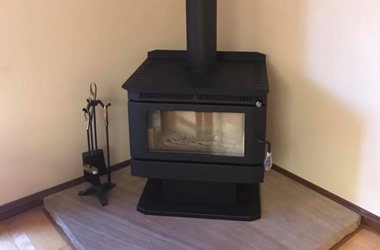 We specialise in the cleaning & maintenance of both slow combustion and open style fireplaces to ensure the safe & efficient operation. 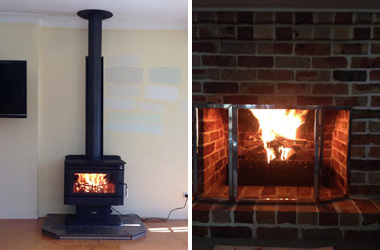 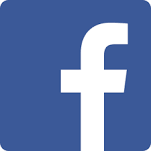 We are a family run business with over 20 years experience in the wood heating industry. 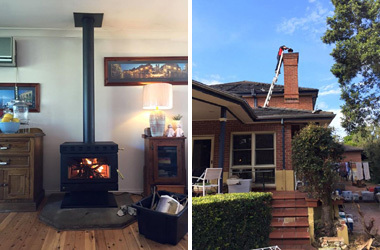 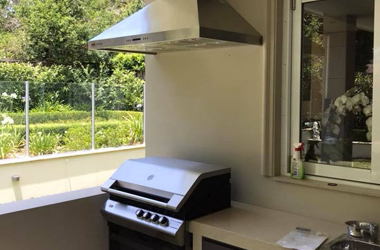 We offer a ‘no mess, no fuss’, thorough, clean & reliable service for the Central Coast & Upper North Shore. 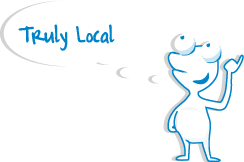 To find out how we can help you, phone Chris Bycroft. 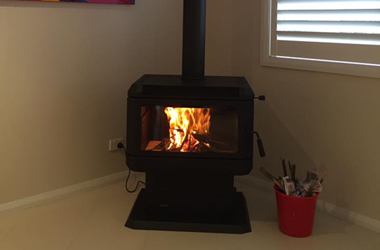 Servicing Central Coast and North Shore.